For the price, you simply can't go wrong with this premium Gispert Corona, packaged in a Cedar Chest of 25. 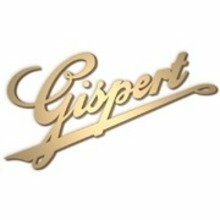 Gispert cigars are a very flavorful, affordably priced, and live up to their 19th century Cuban tradition of excellence. Very nice aromatics and just the right amount of smoke. Good draw, excellent construction. Woodsy flavor, with lots of cream. Aging potential on these is great. Very solid smoke all around. Want a good relaxing cigar???? I have tried many cigars but the Gispert corona beats them all hands down for quality and price it's the best tasting and relaxing cigar I have found yet!!!!! Mild/medium with a good draw. Great price when paired up with freebies. One of a couple I revolve around in between the top shelf stash. Nice burn. Good flavor. Draw is a little loose. Overall, good value for the $$. Great smoke that goes well with that cocktail at the end of a busy day.